I have a beautiful story to share with you all today! 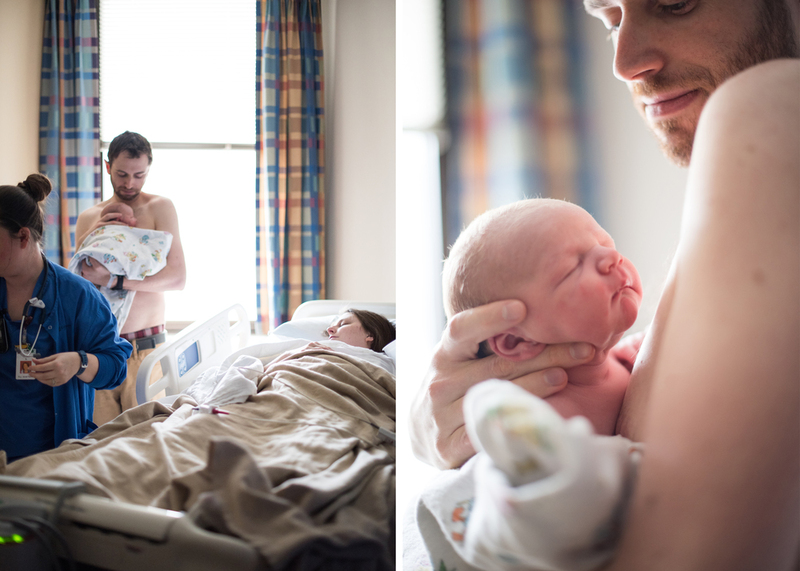 On February 18th I had the complete honor to shoot the birth of Myles Horton. 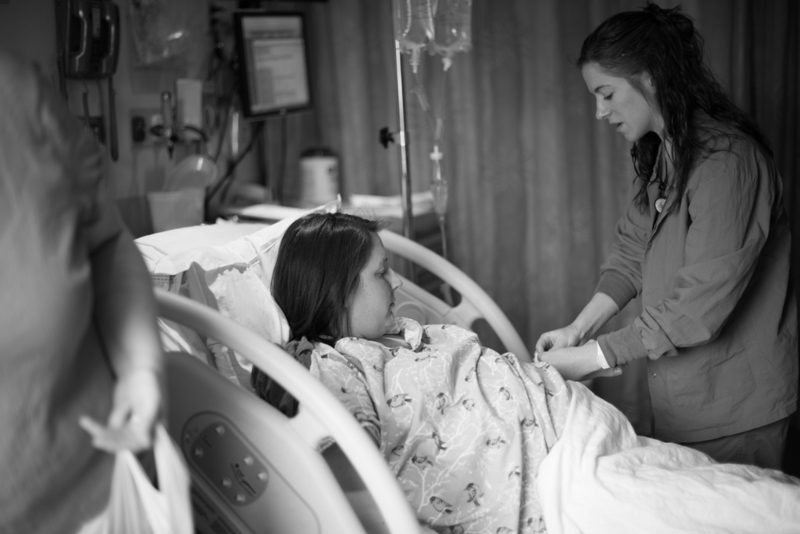 This was a very special birth, the first of its kind in the state of Wisconsin. Before I give you all the awesome details, let me give you a little back story first. Laura and Brad had their first little one, Flynn, about a year and a half ago. They had planned a natural home birth, however in keeping with the unpredictability of birth things did not quite go as planned. After a very long and hard labor Laura delivered Flynn via emergency c-section and then spent a couple days in the NICU. This was very hard for Laura and Brad because they were hoping to have a much different experience. This time around they wanted to try again to have a birth that allowed them the most intimate experience possible as well as getting time immediately with their new born son. 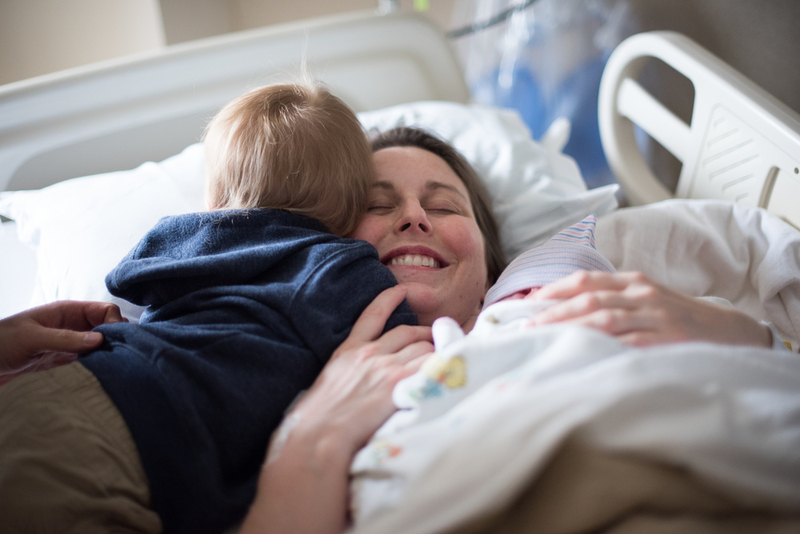 Laura researched her options and came across what is called a skin-to-skin c-section. In a traditional c-section there is a solid drape between mom and the birth of the baby on the other side. Once the baby is born the umbilical cord is cut and the baby is wrapped up and often someone will bring the baby by the mother's head so she can see the baby and touch its face. 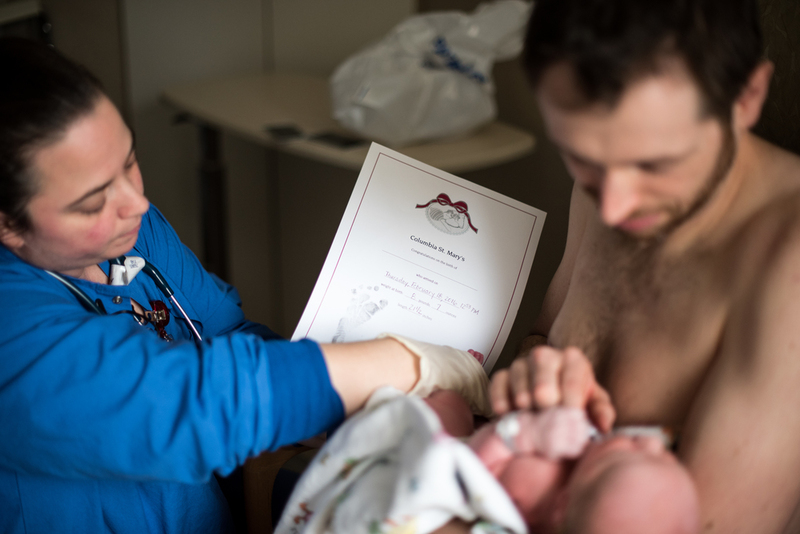 In a skin-to-skin c-section there is a flap in the drape between the mother and the birth and this makes for a radically different experience. Once the baby is born they open the flap and show the baby immediately to the mother. Then, they pass the baby though the flap onto the mother's chest. This is amazing for two major reasons; first, it allows the umbilical cord to pulse longer so the baby can get all the nutrients and blood it provides and second, it allows for immediate bonding between mama and baby. This is exactly how Myles birth went and it was amazing to witness. Baby Myles was placed on Laura's chest right after being born and did not leave it until it was time to leave the OR and even then it was only for a brief minute in the transition of beds and quickly weighing and measuring baby. Baby Myles even began to latch in the OR - so beautiful! Dr. Wasserman at Columbia St. Mary's in downtown Milwaukee is the doctor that supported Laura in trying this new birthing method. I must say, the staff at Columbia were so supportive of Laura and Brad. They were so thrilled to try this new birthing technique that would allow for mother and baby to stay together and bond as much as possible. 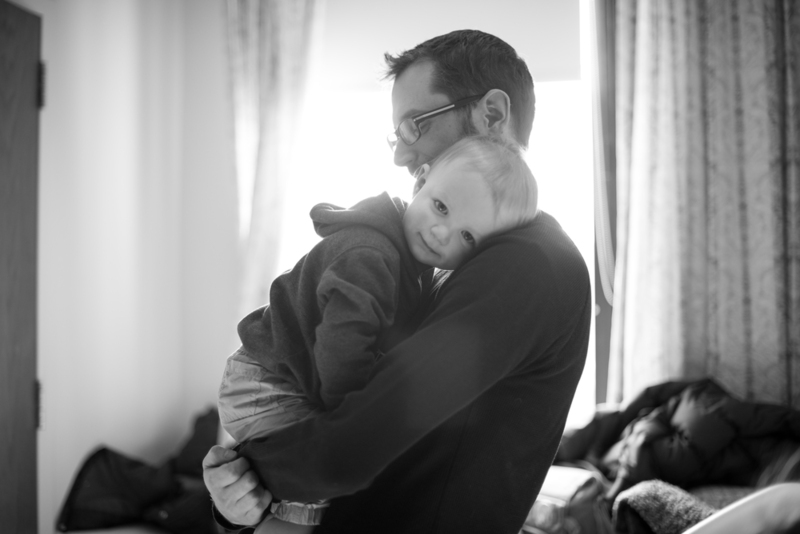 Once in recovery Brad and Laura continued to have skin to skin time with their sweet Myles Jeffrey. Once things settled down big brother Flynn was able to come in and meet his new little brother. He was so sweet with his mom giving her soft hugs, and very curious about his new family member. Laura and Brad worked together as a team all day lifting each other up and living in the moment. Their family is now a beautiful team of four and I am so excited to share what I documented with you now. Enjoy!